We are in the time in history that Moses was on the mountain for the second 40 days, seeking forgiveness for the entire nation of Israel because of the sin of the Golden Calf. In history, the day that he came down with the judgment of mercy was Tishri 10 (this year 9/30/17), which became known as The Day of Atonement (Yom Kippur). Tomorrow at sundown begins the “Ten Days of Awe”, where books in heaven are opened for the ‘just, the unjust and those in-between’. I feel what the Spirit of the Lord is showing me is that there is judgment upon national leaders and nations right now and there is still time for them to humble themselves and turn to the Lord. The books will be closed, judgement will be set at the end of the 10 days of Awe, as Yom Kippur begins, The Day of Atonement. In history, this is the day that Moses came down the mountain with the judgment of mercy for the nation of Israel. We are in very serious times, very dangerous times. Seek the Lord, not only for yourselves, but for the nations, for the leaders. The Feast of Tabernacles (Sukkot) is time to rejoice and remember how Almighty God took care of the Israelites in the 40 years in the Wilderness. This is a great time in Israel when the nations come to gather to celebrate this great Feast of the Lord. HOWEVER- This year it is not so peaceful, not such a joyful time because of the threats of the bullies who threaten their peaceful way of life. 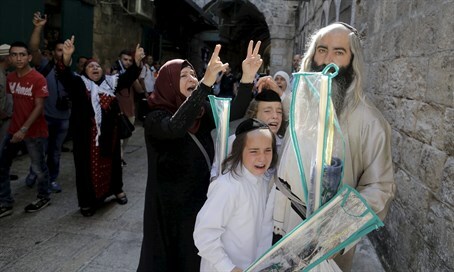 Below is a photo of a Jewish father (Abba) taking his 2 young sons to the Western Wall to celebrate Sukkot. Muslim women surrounded the family and began to shout, spit and call them names. Then young Muslim men joined with kicking, spitting and shouting hate filled words. The little boy cries out Abba Abba! But the father could do nothing. Not only that, not one person helped them. No believers, no shop owners, no Jews, no police. The video is online to view. Now the little nation is being bullied and the world is silent. Prime Minister Benjamin Netanyahu gave a stunning address to the United Nations on their silence, and apathy as nations surround them determining to wipe them out. 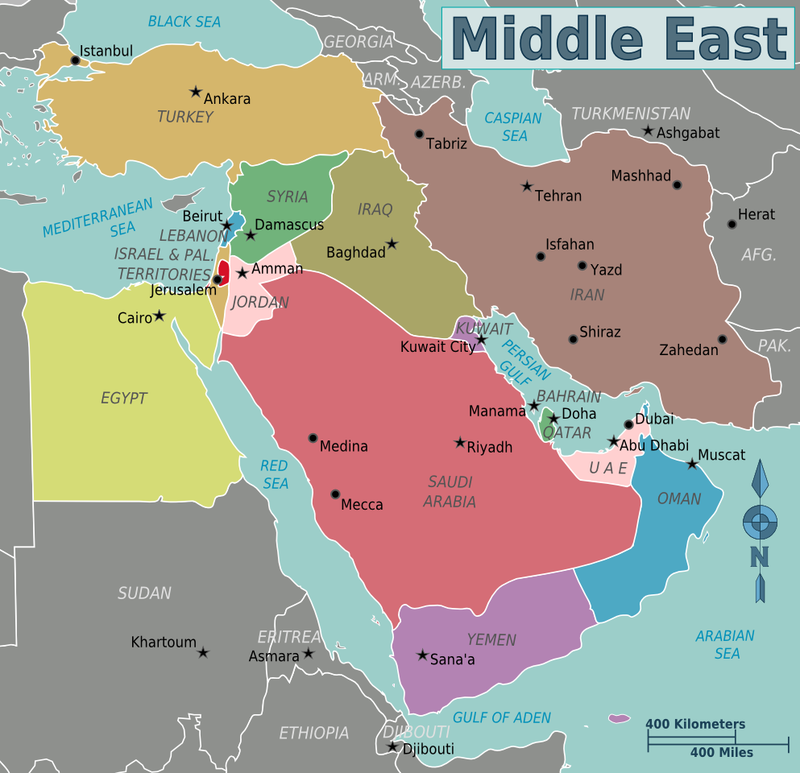 Below is the size of Israel in comparison to surrounding nations that are filled with hate. Believe me when I say, they are crying Abba Abba to Father God, who is a covenant making God and a covenant keeping God. Do I feel sorry for Israel? No! I am standing with Israel and with the promises God made and is keeping with Israel- Abraham, Isaac and Jacob! I do feel sorry for those who come against Israel- they are coming against the God of the Universe! And He always wins. Isaiah 62:1, For Zion’s sake I will not hold My peace, and for Jerusalem’s sake I will not rest, until her righteousness goes forth as brightness, and her salvation as a lamp that burns. (6) I have set watchmen on your walls, O Jerusalem; they shall never hold their peace day or night. You who make mention of the LORD, do not keep silent, (7) And give Him no rest till He establishes and till He makes Jerusalem a praise in the earth. Sunday night at 9:44pm Central Standard Time we will view the 4th Blood Moon of the Four Blood Moons of 2014-2015. I went out into my back yard tonight, looked southeast and shot a few views with my SkyView App. In both shots the moon is black and white. 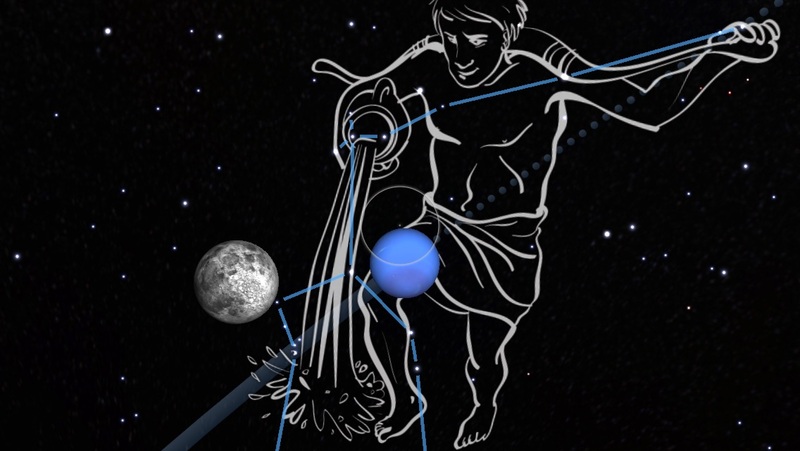 The light blue planet below Pisces (fish) is Uranus and the bright blue planet in Aquarius is Neptune. Neither of these 2 planets are the original 7 planets, which made up the heavenly menorah on Creation. Abarbanel, a Jewish commentator, writing on Daniel, affirms that the Sign Pisces always refers to the people of Israel. He gives five reasons for this belief, and also affirms that a conjunction of the planets Jupiter and Saturn always betokens a crisis in the affairs of Israel. Because such a conjunction took place in his day (about 1480 AD), he looked for the coming of Messiah. E. W. Bullinger comments on this : Certainly when the sun is in Pisces all the constellations which are considered noxious, are seen above the horizon. What is true in astronomical observation is true also in historical fact. When God’s favor is shown to Israel, ‘the Jew’s enemy’ puts forth his malignant powers. When they increased and multiplied in Egypt, he endeavored to compass the destruction of the nation by destroying the male children; but their great Deliverer remembered His covenant, defeated the designs of the enemy, and brought the counsel of the heathen to nought. So it was in Persia; and so it will be yet be again when the hour of Israel’s final deliverance has come. 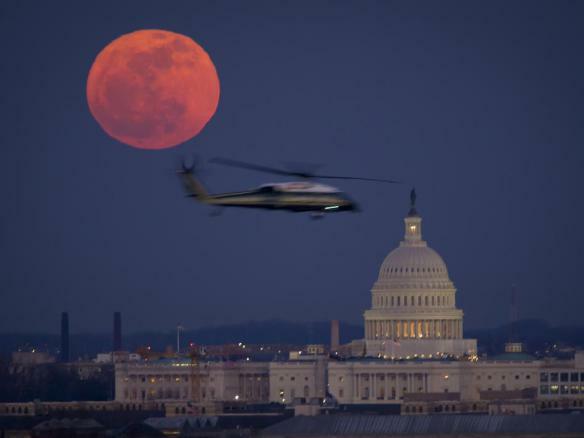 Something on the Blood Moon I had not considered until it read it in JewsNews “Big Things Coming in 5776” – the Muslim connection to the Blood Moon Tetrads! WOW! I had never seen that connection! I did blog the Islam View of the Blood Moon at https://mbostrom2.com/2011/06/10/islam-view-of-a-lunar-eclipse. No matter what – the heavens are declaring the glory of God! A week from tonight we will witness the 4th of the final back-to-back Blood Moons on Passover and Sukkot and we will never in our lifetime view this heavenly appearance of 4 Blood Moons on the Feasts of the Lord. Next Sunday night we will be in our lawn, looking to heaven, witnessing the Super Blood Moon as the Feast of Tabernacles begins. In the south Texas area, the totality will be 9:44pm, September 27. It should stay the beautiful blood red color for almost an hour. Enjoy! This morning I awoke and I heard “Just and true are your ways, O Lord”, from the Song of Moses in Revelation 15:3. We have been doing out part, crying out to God for our nation and repenting for the many great sins. We have come before a Holy Judge, on behalf of ourselves and on behalf of the innocent. We are in the time in history that Moses was on the mountain for the second 40 days, seeking forgiveness for the entire nation of Israel because of the sin of the Golden Calf. In history, the day that he came down with the judgment of mercy was September 23, The Day of Atonement (Yom Kippur). 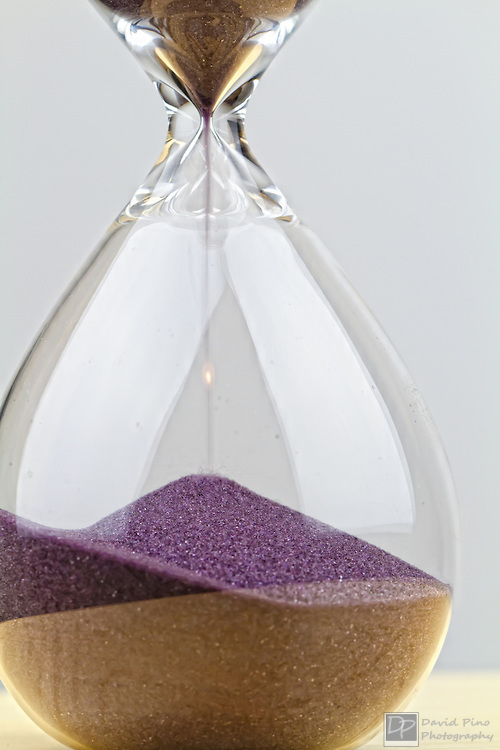 This morning on a prayer call I had a vision of an hour glass, with time running out. Tonight ends the 7 year land cycle of Leviticus 25 and the last day of the Shemitah Cycle is today. Tomorrow begins the “Ten Days of Awe”, where books in heaven are opened for the ‘just, the unjust and those in-between’. I feel what the Spirit of the Lord is showing me is that there is judgment upon national leaders and nations right now and there is still time for them to humble themselves and turn to the Lord. The books will be closed, judgement will be set at the end of the 10 days of Awe, as Yom Kippur begins, The Day of Atonement. In history, this is the day that Moses came down the mountain with the judgment of mercy for the nation of Israel. This year, the Jubilee Year will be announced on Yom Kippur. We are in very serious times, very dangerous times. Seek the Lord, not only for yourselves, but for the nations, for the leaders. Tonight begins the partial Solar Eclipse. This will be over the southern part of the earth so most of us will not see it except by internet. I saw the short clip of what it will look like on http://www.timeanddate.com/eclipse/solar/2015-september-13. It looks like a bowl. May this not be filled with the judgment of God upon the nations as they prepare to take the Promised Land at the United Nations, Selah. 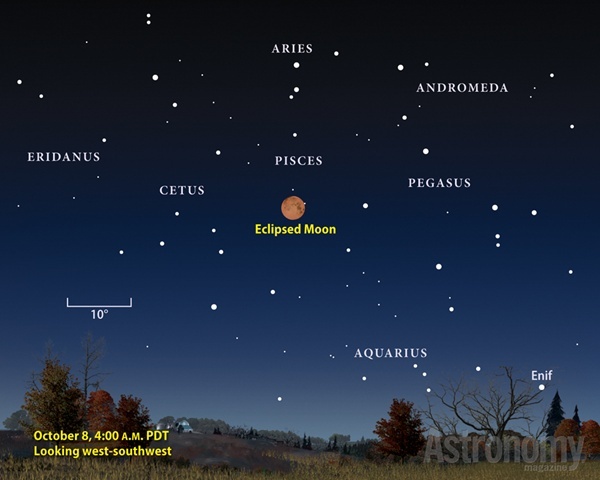 This siting will be VERY RARE, since some areas will be able to see the full eclipse of the Moon as the Sun rises. This is called a “senenelion“, meaning the sun and eclipsed moon can be seen at the same time in some areas. According to geometry, this cannot happen. Well, we are living in very unusual times. Keep looking up! I am praying for clear skies and plan to watch it from the Gulf of Mexico. YES!! October has 2 Eclipses and both can be seen from North America. October 8th will have a full blood moon and October 23rd will have a partial Solar Eclipse. The April 15th Blood Moon (lunar eclipse) totally covered the brightest star in Virgo, which is called Spica in Latin. The Hebrew name is Tsemech and means Branch, representing the Messiah. I remember looking in my SkyView AP on my iPhone and seeing the lineup of planets and constellations. I was so excited I could not sleep the rest of the night! Psalms 19:1-6 tell of how the heavens speak and show knowledge. What I experienced that night was amazing! Understanding the Constellations that Creator God planned for this tells the whole story of what he is doing on the earth right now. The Heavens ‘declare’ the glory of God! October 8, 2014 we will see (weather permitting) the Blood Moon larger than the April 15 Blood Moon. Once it reaches totality, it will be Blood Red for approximately 59 minutes so you can set your alarms and rise early . Maybe you can have your devotions in the back yard, experiencing the incredible, awesome, majesty, greatness and glory of God! God had an original intent of each constellation as together they tell the story of Jesus’ First coming, the Church Age and His Second Coming. April 15th, the Total Lunar Eclipse covered Book One of the 3 books of Heaven.How do they tell the story? God named all the stars. Each constellation (fixed stars) tell the story by the name God revealed to Adam, Seth and Enoch. The story begins at the brightest star and goes through each star like a chapter in the book. Below I have listed the main 12 Constellations, each having 3 associated constellations. I have taken my study from the great book by E.W. Bullinger, “The Witness of the Stars”. Pegasus (The Winged Horse) The blessings coming quickly (associated with Aquarius) ENIF is an orange supergiant star in the nose of the horse. I feel like the announcer on the movie SeaBiscuit, “Stop the presses, stop the presses!” Remember how excited he was? That is how I felt when I saw the alignment of the October 8th Blood Moon was over Pisces, on the night of the eve of the Feast of Tabernacles!!! The sign of Pisces has always been interpreted as the nation of Israel. 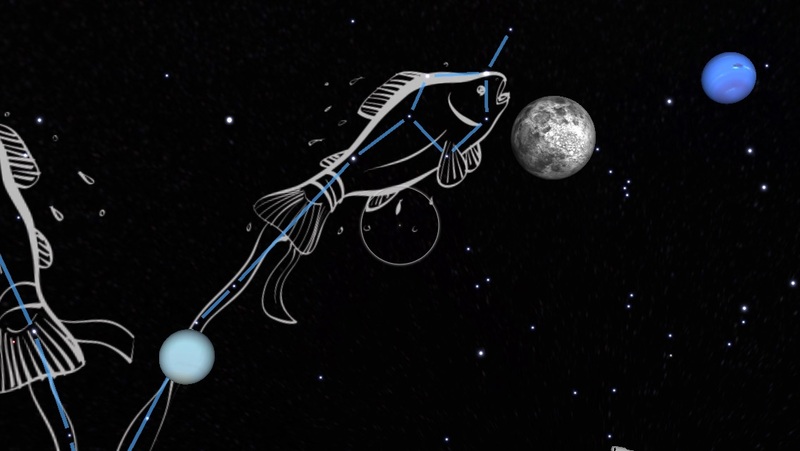 History records that 3 years before the birth of Moses, Jupiter (King Planet) and Saturn (Shabbatai, Lord of the Sabbath) were in conjunction with Pisces (representing the Hebrews, then nation of Israel). Josephus and other historians affirm that Egyptian astronomers interpreted the sign as an indicator that a great man would be born among the Jews. Why 2 fishes? Because Abraham knew there was a heavenly city he belonged to, but was used of God on this earth. The same with the Church, the Body of Christ. I Peter 2:11 tells us we are ‘foreigners and aliens here”. Our citizenship is in heaven. 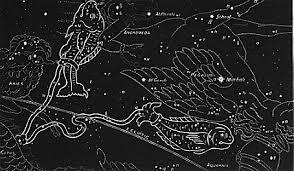 One of the fishes is swimming towards the North Polar Star and the other fish is on the line of the ecliptic path of the Sun. The Fishes are tied together by a cord, the constellation called Al Risha, a common bond. Ephesians 2 tells us that the Church and the Jews are joined together to make “One New Man!” From what I see, the heavens are declaring that the Church will stand strong with Israel, with heavenly help from the hosts of Heaven. Jesus, the Lord of Hosts, Jehovah Sabbaoth will be directing the greatest move of God in history. Wait and see! The Bible promises a great victory and the heavens declare with signs! The Partial Solar Eclipse of October 23rd will be seen best in the northern parts of North America (viewing a 60% eclipse) but all in North American will be able to view it. I live in Texas, by NASA, and we will see it from begin at 4:48 pm with maximum at 5:53pm and should see a 20-40% eclipse. Thursday, October 23rd I will be ministering in Minneapolis so I should be part of the 60% eclipse viewers. FYI- the eve of the 24th begins the Islam New Year. Also the eve of Rosh Chodesh Cheshvan, the month of the Flood. Noah and his family entered the Ark on day 10 of Cheshvan. 7 days later it began to rain for 40 days and 40 nights. One year later on Cheshvan 27, the flood waters finally subsided and Noah, his family and the animals left the Ark. I always think of Jesus telling us His 2nd coming would be ‘like the days of Noah”. Selah and Shalom, Shalom. Pray for the Peace of Jerusalem.